Running a marathon is one heck of challenge and for most of us, one that requires a phenomenal amount of physical and mental stamina. For something like this preparation is everything. First, lets take a look at what you’ll be asking of your body. 1. 26.2 miles or 42km. By any means that’s a fair distance and certainly not something that your body does all too often. 2. Approximately 55,000 – 60,000 steps. Obviously depending on your stride length this may vary. Whichever way it’s a lot of steps. 3. 2,500 – 3,000 calories that’s equivalent to 35 chicken wings or 2 dominos pizzas or 30 slices of bread or……….you get the point. 4. Lose up to 6 litres of water in sweat! 5. Get shorter by 1cm due to repetitive compressive forces whilst running. (This will reverse, don't worry). 6. A whole lot of physical and mental stress for your muscles, joints, bones and ligaments and mind. Not to mention you’ll have accumulated anywhere from 250 – 350 miles in training for the big day. All in all that’s A LOT of running! This is super important. Remember, you’ll have done a considerable mileage in training prior to the event itself. This is a huge amount of cumulative stress on your muscles, bones, ligaments and joints over the past 12-20 weeks and your body needs adequate time to adapt and recover. Your longest run should be 2 or 3 weekends before the marathon itself. The last 2 weeks should consist of shorter ‘recovery’ runs with adequate rest to make sure you’re not over-trained on race day. Ensure that you re-hydrate (remember you need to replace lost salts too) and eat enough calories to recover after each run. Crucially, staying well hydrated will help reduce fatigue and promote recovery - so drink plenty. 1. Invest in a foam roller. These are a great bit of kit – cheap, durable and just about the most effective way to self-massage those tight muscles. This one is reasonably priced and includes instructions if you’ve never used one before. 2. Consider a sports massage. This is an excellent way to promote recovery. Repetitive stresses can lead to tight muscles, loss of joint range of motion and pain. Sports massages therapists are experts at finding tight spots in muscles and loosening them up. Sports massage also improves the effectiveness of the circulatory system helping your body remove waste products that build up in the muscles and bring new nutrients and oxygen in that are essential for recovery. 3. Get any niggling aches and pains looked at. This one is a bit more tricky. Obviously a small amount of pain and discomfort is expected – you’re training to run 26.2 miles in one go, but if you have a recurrent specific ache or pain that is present most times you run, it could be the start of an injury. Remember running in pain or with an injury could cause your body to use up to 3x more energy, not mention cause further harm. If you’re not sure get it checked out, remember we offer free 15 minute consultations – use them! Remember, all of the above doesn’t just apply for marathons. Whether you’re doing a marathon, a park run, fun run, 10k, half marathon or just want to run to keep fit and healthy all of the above ideas remain relevant. 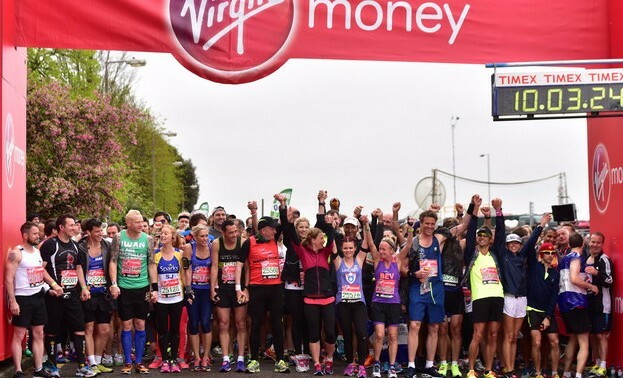 And if you are running the London marathon in a few weeks Good Luck!